Decorating with metallics is a great way to obtain chic home decor. For chicness, I’m talking about the glamorous shine of gold, silver or copper. 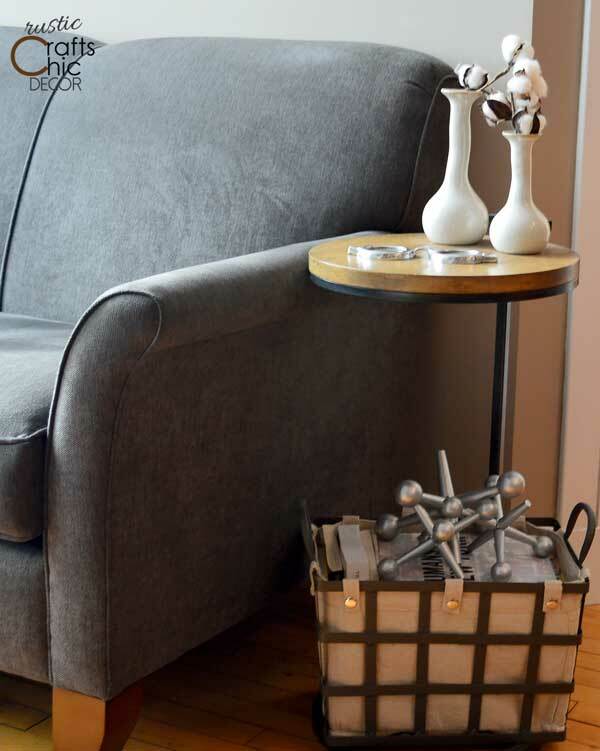 The dazzle, of these precious metals, is what gives a sense of sophistication to a room. It’s kind of like accessorizing with jewelry. A couple of key pieces can really tie in the style of the whole space. Although my living room is very vintage industrial, I added some silver and gold touches to give it a more rustic chic feel. Some of my vintage books have gold lettering on the bindings. 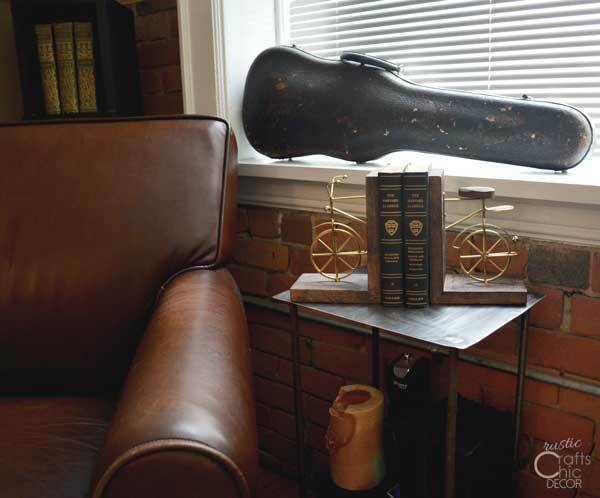 To enhance the gold lettering, I held a couple of the books up with some chic bookends. The gold finish of the bicycle blends well with the existing decor. I think it brightens up the space a bit with the shininess. 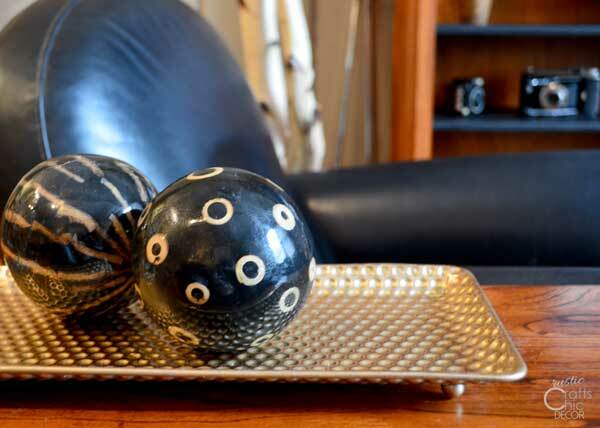 Another simple way, that I added a little gold, is with a metallic gold tray. Decorating with metallics is easy right now with all the accessories available in these finishes. Pillows and lamps are easy accessories to switch out from time to time. 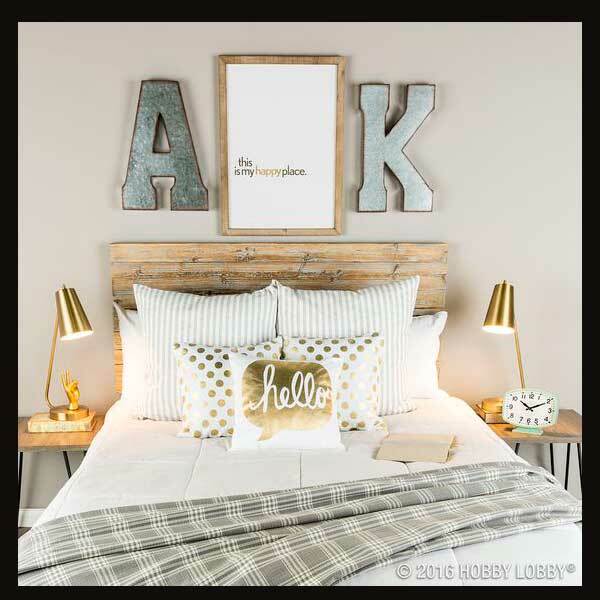 This bedroom space, found on Pop Sugar, is a good example of accessorizing with gold. You don’t have to limit yourself with just one metallic finish in a room. Mixing metals works fine when finishes don’t compete with each other. The above bedroom is a great example of using both silver and gold in a room where the finishes complement each other. I have used both silver and gold in my living room in separate vignettes. I love copper in the kitchen! A set of hanging copper pans will definitely add a little glamour to the kitchen. 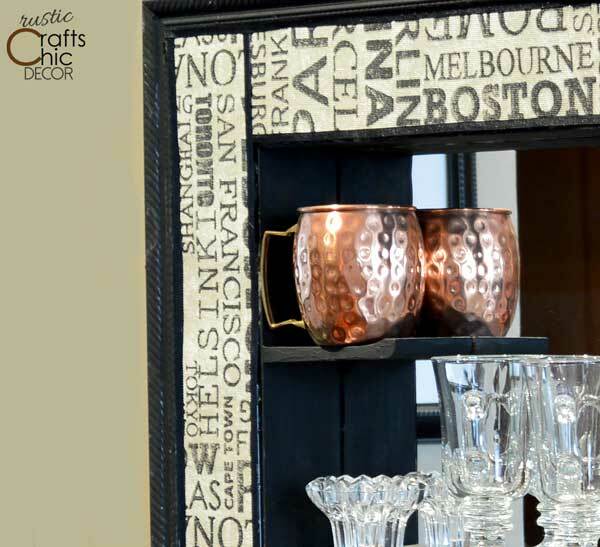 Even something as simple as copper Moscow mule mugs can add chicness. Copper isn’t just for the kitchen, however. 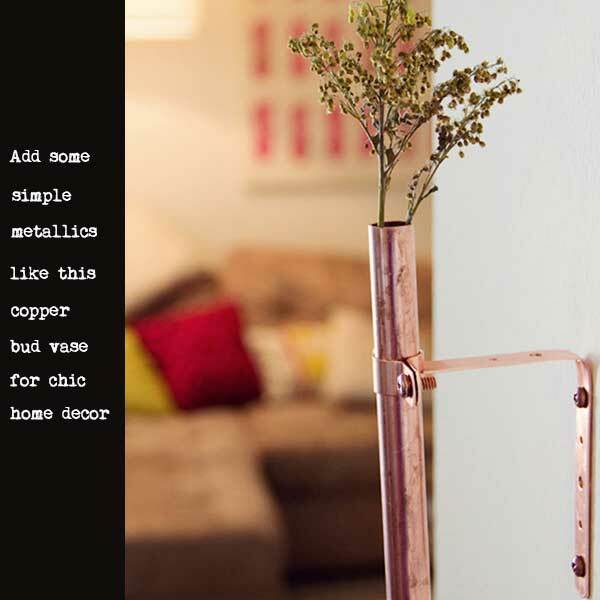 This copper bud vase, seen on Digs Digs, would work well in any room.